ArabSaga: "Fears of Saudi women in Olympics team superfluous"
"Fears of Saudi women in Olympics team superfluous"
Saudi Arabia’s print and audio-visual media superstar Turki al-Dakheel is questioning the wisdom of excluding women athletes from the Saudi official Olympic team but allowing female citizens to compete at London 2012 without official endorsement. Prince Nawaf recognized there was a growing demand for sports among Saudi women. "There are now hundreds or thousands who practice sports but in a private way and without any relationship to the GPYW," he said. The statement apparently opened some sort of aperture for Saudi women to enter the Games outside the official Saudi team. 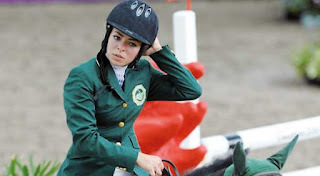 Perhaps the most likely woman candidate to compete under the Saudi flag in London, equestrian Dalma Malhas, a Saudi national of Palestinian extraction born in Ohio, represented the kingdom at the Youth Olympics in Singapore in 2010, without official endorsement and won a bronze medal in show jumping. The evident debate about women’s rights to sports is part of a far broader discussion about the position of women in Saudi society. “Why fear Saudi women participation in the Olympics?” Saudi media superstar Dakheel, who boasts over half-a-million followers on Facebook, wondered in his column for al-Watan daily this week. “I find no justification for the ongoing controversy over female participation in the London Olympics. The Games are not secret activities. They are aired on television screens. Too many misconceptions create too many taboos. “In this context, I agree with a Saudi judge specialized in comparative jurisprudence who confirmed the GPYW’s equivocation on the issue of women athletes participating in the Olympics. 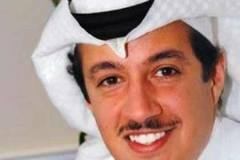 “Even the declaration of Prince Nawaf Bin Faisal was nothing more than an attempt to evade embarrassment. The judge said it in plain words: ‘It is impermissible to bar a potential female athlete on grounds of pertinent sharia ordinances.’ Such equivocation and dodging of responsibility do not serve the national interest or state’s clout of sovereignty. “I pondered the designation ‘General Presidency of Youth Welfare’ and found it appealing. It is an institution to promote youth welfare, sports, recreational facilities and sports cities. But the question is: Why aren’t women represented in the General Presidency? “There is a global trend in sports institutions to involve as many women as men. The aim is not to corrupt women, as some might suggest, but to underscore the importance of female participation in all aspects of public life without violation of any rules or regulations. “True Saudi women have a solid and impregnable cultural and tribal background. What we should be discussing though are some people’s misinterpretations. How can their phobia of the Olympics be explained? “Do the Games violate a Muslim woman’s honor, knowing that righteous Muslim female athletes have constantly participated in various sports activities without feeling remorseful, overwhelmed or violated? Tone down your hallucinations, gentlemen! “Psychologists are aware fear can be rational. Fear of a breakdown by a passenger riding in a rickety car is justified. But phobia is an irrational fear or aversion to something. Someone who can’t have a meal without food poisoning has a phobia and needs treatment. Therein lies the difference.